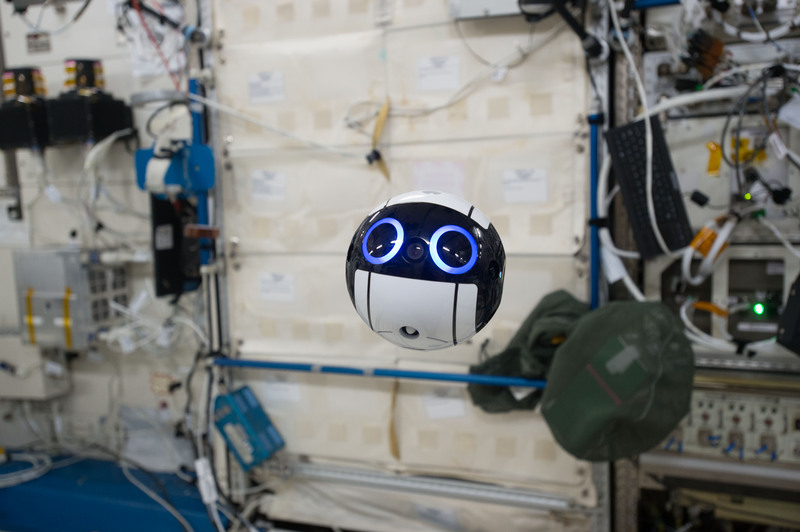 To Top > Experiment > News > First disclosure of images taken by the Kibo's internal drone "Int-Ball"
Int-Ball was delivered to Japanese Experiment Module "Kibo" on the International Space Station by the US Dragon spacecraft launched on June 4, 2017, and is currently undergoing initial verification. 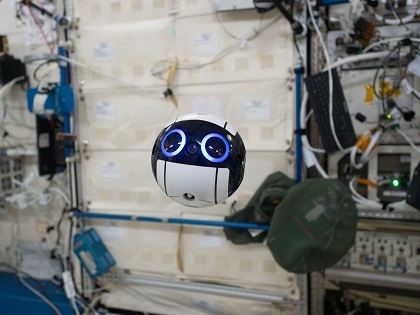 The camera can move autonomously in space and record still and moving images under remote control by the JAXA Tsukuba Space Center. 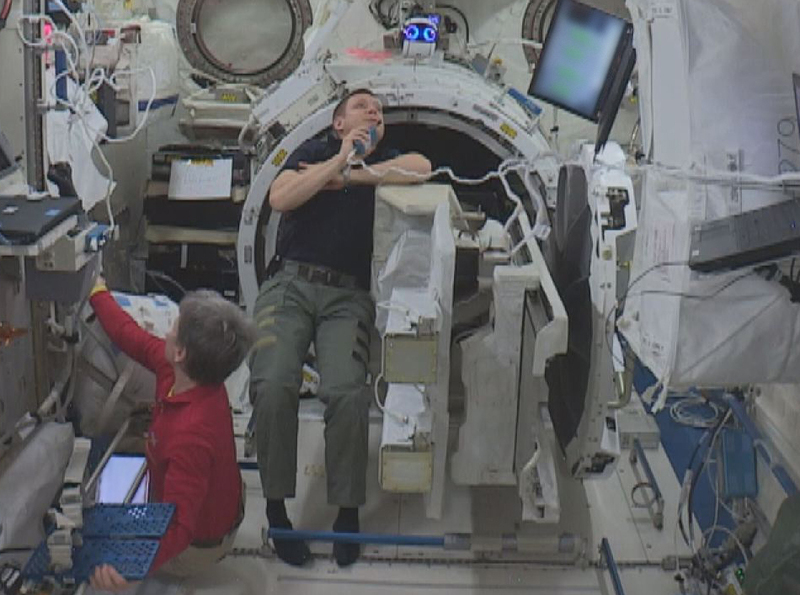 The recorded images and videos can be checked in real time by flight controllers and researchers on the ground, and then be fed back to the onboard crew. The camera adopts existing drone technology and its exterior and inner structures were all manufactured by 3D-printing. Acquiring the capability to move anywhere at any time via autonomous flight and record images from any angle. Realizing "zero" photographing time by the onboard crew in the end, which amounts to about 10% of their working hours at present. 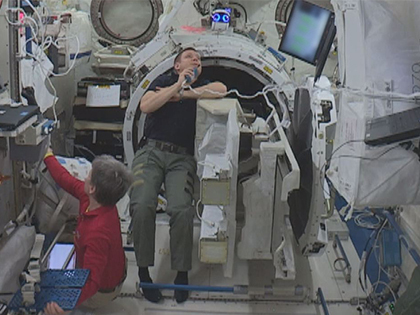 Enabling flight controllers and researchers on the ground to check the crew's work from the same viewpoint as the crew. The effective cooperative work between in space and on the ground will contribute to maximized results of "Kibo" utilization experiments. Striving to further improve Int-Ball's performance, enhance its functions, and promote the automation and autonomy of extra- and intra-vehicular experiments, while seeking to acquire the robotics technology available for future exploration missions.